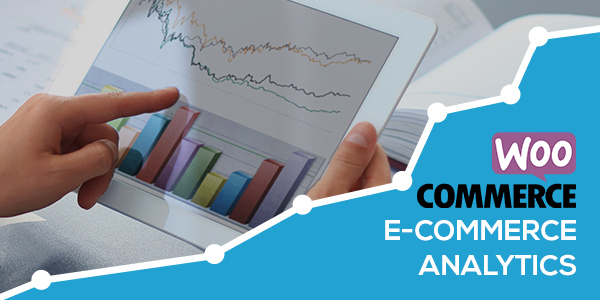 WooCommerce E-commerce Analytics is an awesome plugin to integrate your WooCommerce store with your free Google Analytics account as well as Facebook Pixel account. With WooCommerce E-commerce Analytics, get detailed insights into your eCommerce events, shop’s traffic, and many more metrics to improve your sales funnel, in turn driving more revenue. With WooCommerce E-commerce Analytics you can add advanced event tracking to your WooCommerce store. This plugin will automatically push the advanced event tracking into your Google Analytics, allowing you to easily get insights into important metrics such as conversion rate, average order value, sales by product or category, and other valuable data. 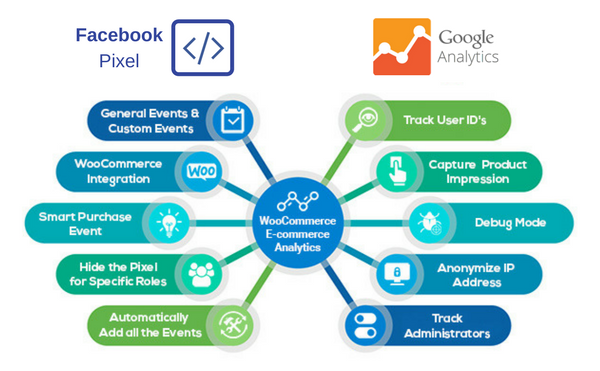 WooCommerce E-commerce Analytics enables you to integrate your WooCommerce website with your Facebook Pixel account. Now you can track your WooCommerce website metrics directly on you Facebook Pixel account. Includes great features like Universal Analytics, enhanced eCommerce tracking, etc. Filtered view allows you to exclude shop managers from tracking along with site admins. You can also add events for customer actions, such as sign in / out, or leaving a product review/comment. TimeOnPage event feature enables you to measure the time each visitor spends on every page. Get detailed insights into your eCommerce events, shop’s traffic, and many more metrics to improve your sales funnel, in turn driving more revenue.